The use of drugs such as Fosamax to treat osteoporosis was frequently challenged by John Lee MD, despite their popularity with his fellow doctors. His own clinical evidence from his patients showed that natural progesterone was the only substance capable of building bone and he had serious reservations about drugs such as Fosamax in terms of them merely delaying bone breakdown. I am sure he would have not been surprised by new research that suggests that long term use of a class of drugs called bisphosphonates, although they’re supposed to make bones stronger, could cause spontaneous fractures. The generic name for Fosamax is alendronate and there is now mounting evidence that for some women, taking these drugs for over five years could be a serious problem. 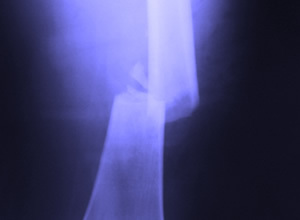 Dr. Kenneth Egol, who is professor of orthopedic surgery at NYU Langone Medical Center, became aware of an increased number of patients taking these drugs suffering from broken bones, particularly the femur which is one of the strongest bones in the body. He commented “Over the last 18 months we are seeing people who were just walking [on flat ground], walking down the steps, patients who are doing low-energy exercise.” He added that when looking at patient X-rays the damage to their bones looked more like a trauma injury from a car accident than a minor fall. One woman who had been on Fosamax for almost 10 years broke both of her femur bones, and a major concern is that doctors have been prescribing these drugs more widely. 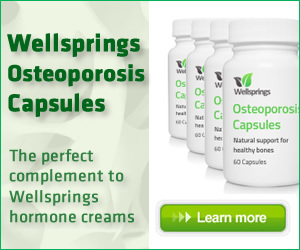 Not just to those women who have osteoporosis, but to those who are osteopenic, and at risk of the disease. This widens the pool considerably, and if women are taking it for the ‘risk’ of osteoporosis then they are likely to be prescribed it long term. You may have spotted that in the small print, but would you have understood it? Dr Besser further commented that the FDA has never made an effort to inform the public or doctors across the country who prescribe bisphosphonates of this possible side effect. This report now flags up a warning to any woman taking Fosamax, or its generic, that bones can become more brittle and liable to break after around five years of use. One of the things Dr John Lee advocated was that women needed to take responsibility for their health, and if your doctor does not know of this potentially lethal side effect then be a good public servant and tell them. My mother takes Fosamax regularly and is 84 years old. In February 2010 she broke her left femur according to her “with her leg muscles”. I thought “yeah right”. Now I am not so sure. 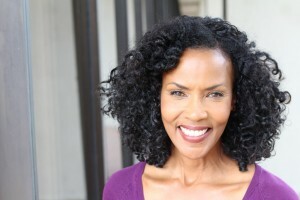 I will be talking with her tomorrow. They are both bisphosphonates so do have similar actions. Your doctor may be able to advise you further on the differences between them.